At the 2017 ARDA World Conference, the Sales and Marketing Forum took on the challenge of reimagining the sales process. Following a brief panel discussion on challenges and opportunities for the industry, approximately 100 industry professionals participated in round table discussions focusing on various sales activities and then reported their ideas back to the larger group. One suggestion that intrigued me was the idea of using big data to better match consumers to the products they’re offered at the sales table.At the 2017 ARDA World Conference, the Sales and Marketing Forum took on the challenge of reimagining the sales process. Following a brief panel discussion on challenges and opportunities for the industry, approximately 100 industry professionals participated in round table discussions focusing on various sales activities and then reported their ideas back to the larger group. One suggestion that intrigued me was the idea of using big data to better match consumers to the products they’re offered at the sales table. 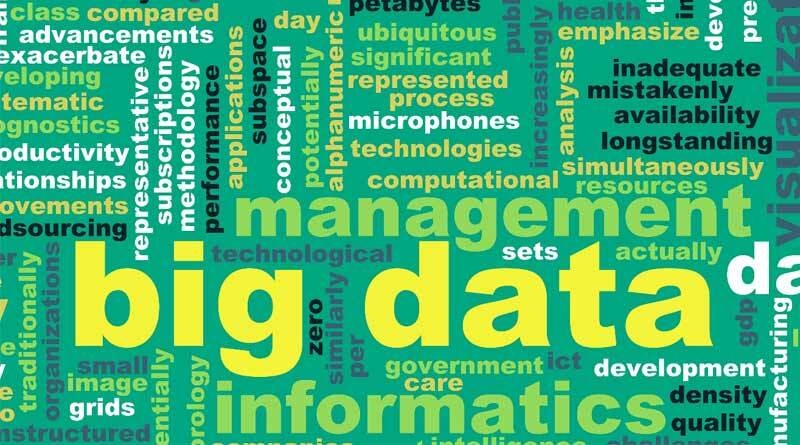 Going BigHow much data does it take to be “big,” and are we there yet? According to Sean Nickerson, co-founder and vice president of marketing at TrackResults Software, a Utah based company that offers business-intelligence solutions for the shared-ownership industry, big data is measured in petabytes, which are the equivalent of 1 million gigabytes. “Big data is the wrong term for what we’re talking about in our industry today,” he says. “We don’t have that as an industry. However, there’s a lot that can be done with smart money”. Some companies suggest targeting the information that we do have, such as what magazines people subscribe to, where they live and what websites they visit. In the sales process, Green sees great potential for using the data currently available in the ways that the forum participants suggest to better match consumers to the right product—and to reinforce consumer loyalty. The same logic applies to the marketing process. “We review real data for marketing across the globe,” Nickerson says, “We’ve found some areas have a higher propensity to respond to traditional marketing.” He cites a specific example from a study that TrackResults performed for AMDETUR. When asked who has the highest close rate for purchasing a timeshare in eastern Mexico; millions of dates points were examined. The answer surprised even him. As it turns out the highest close rate at the time belonged to cohabiting heterosexual couples from Minnesota. While there can be many theories why the data proved that it was the case. To get started, both Nickerson and Green recommend turning to experts in this area rather than trying to go it alone. “If you don’t know what you don’t know, you’re setting yourself up for disappointment,” Nickerson says. Companies such as TrackResults can assist with both storing the data in a usable format and the analytics needed to gain actionable intelligence. Develop a Strategic Vision. Determine what data and analytics can be used for. Create strategies to measure success. Build the Data Pool. Move data from departmental “silos” to collective resources. Capture information from customer interactions, open source data, and purchased sources. Maintain data hygiene to assure the accuracy and usability of the information collected. Acquire the Skills to Use the Data. Hire a chief data officer, build in-house capabilities, outsource to specialists or, most likely, combine these approaches. to have access to the right data, and that top and mid-level managers must be trained to rely on data-driven insights as part of their decision-making process.